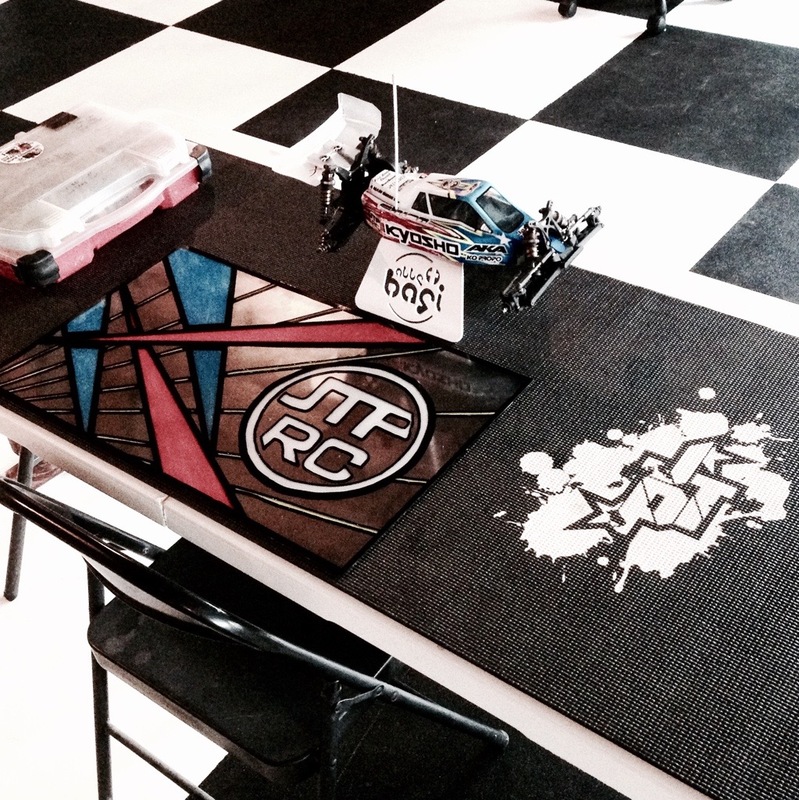 Just added to my Store….the perfect pit mat for any RC racer. 24″x68″ Black yoga style mat with a White screen printed JTP Splat design on the right side. This mat will cover a full size “white fold up table” used by most racers. What tool organizer is that?